Kartik Aaryan film ‘Pati Patni Aur Woh’, an adaptation of BR Chopra’s 1978 film of the same name, will release in India on December 6. Aaryan on Sunday took to social media to announce the release date. 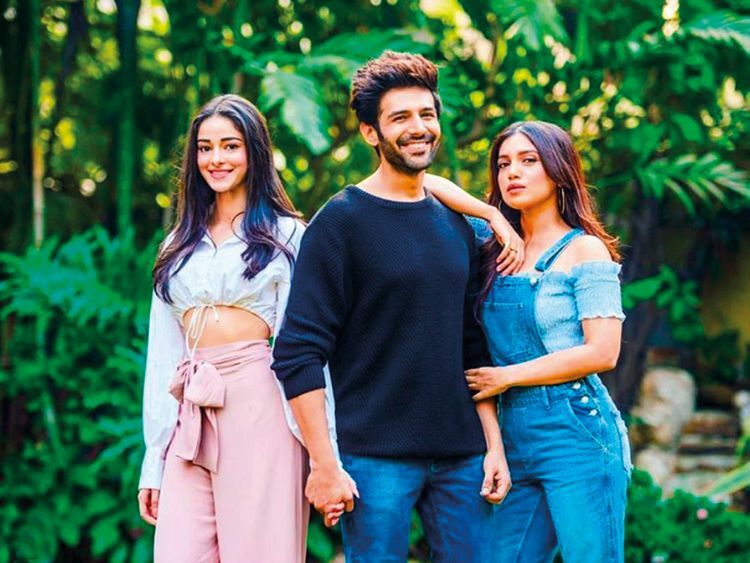 The lead star will star alongside Bhumi Pednekar and Ananya Panday, who is making her Bollywood debut with the sequel to ‘Student of The Year’. The original film starred late actor Sanjeev Kumar, Vidya Sinha and Ranjeeta Kaur. ‘Pati Patni Aur Woh’ is a comical take on extra-marital affairs. Directed by Mudassar Aziz and produced by Bhushan Kumar, Krishan Kumar, Renu Chopra and Juno Chopra, the film will clash with Arjun Kapoor’s “Panipat” at the box office.